So here's a way to stock up on microUSB cables for cheap. 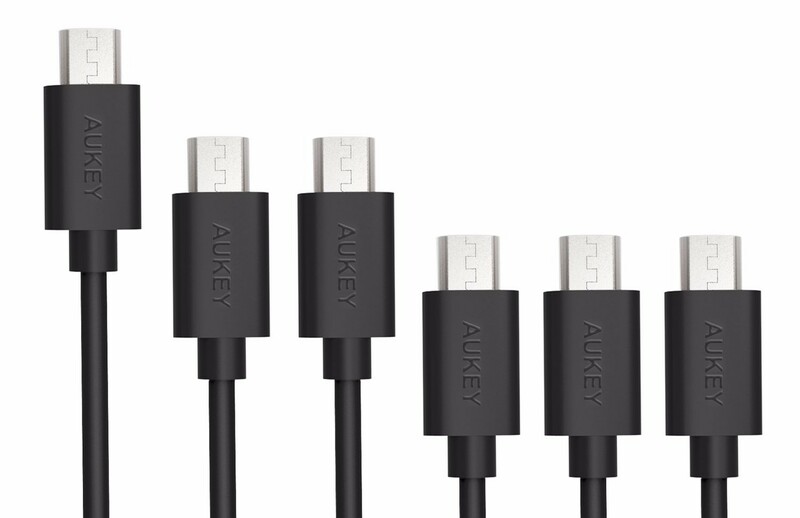 Aukey has a six pack on Amazon for $11, and it will let you get them for $4.50 less if you use the coupon code ALXCCZHA at checkout. This will drop the price down to $6.50. The pack comes with one 6.6 foot cable, two 3.3, and three that are just a foot each. This way you can have one cord hanging out from behind your couch, two by the bed, and three that avoid making a tangled mess on your desk. You just have to supply your own power adapters. Each cable is Quick Charge 2.0 compatible and supports transferring data at up to 480Mbps.